As 2018 rolls along, a year of significant highs for the organisation. It is difficult not to find yourself getting caught up in the high-tide of expectations for the year 2019. It is through the significant milestones achieved by the organisation this year, which sought to reaffirm CDC`s position as a leading SEZ in Africa. This year the country has experienced severe uproars, particularly around the aspect of achieving a significant reduction in the rate of unemployment (especially for the Eastern Cape region). The CDC however, has attempted to settle the unrest through achieving 100 000 job mark (since inception). 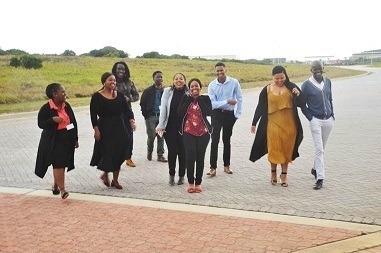 Such strides by the organisation have since opened opportunities for indigenously crafted initiatives to benefit from such efforts, giving hope to the youth of the Eastern Cape. “This is not only a creative but a benefiting initiative which speaks to creating decent work and other economic and social benefits in the region, including the broadening of economic participation by promoting SMMEs and co-operatives, and promoting skills and technology transfer,” concluded Dr Vilakazi.